This cmdlet could represent a watershed for using PowerShell to manage computer tasks. 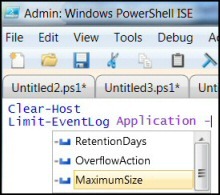 Either you could configure the event logs options with the traditional Event Viewer GUI, or better still, you could master PowerShell's Limit-Eventlog. The eventlog family of PowerShell cmdlets work very well together. Mostly I start with Get-Eventlog, because here is where I remind myself of the precise spelling of the logs; I also use Get-Eventlog to display the actual messages. Action Point: These days I launch the Windows Event Viewer GUI with PowerShell's Show-Eventlog, my idea is to check that the code in my scripts, matches the what I actually see in the GUI. 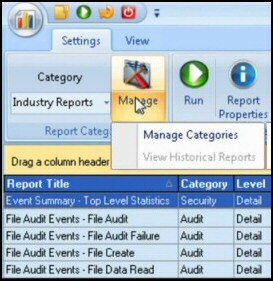 Furthermore, we can right click the Application log in the Event Viewer, and examine its properties and get ideas to improve the script. See screenshot to the right. Perhaps Microsoft should have called it 'Increase-Eventlog'! 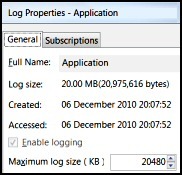 Here is a simple method to enlarge the application log, and thus prevent losing old messages. Shock: I was surprised that you have to append Kb to the size in the script. A pure number such as 20800 won't work, even if it is multiple of 64Kb. Furthermore, there can be no space after the number and before Kb. Magic Moment: Despite years of writing scripts, it still gives me a little thrill to see the maximum value change in the GUI from 20480 (default) to 400000 (script). That said, 40 Mb is rather excessive for a log file! 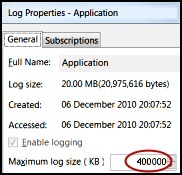 Supplementary Task: To reduce the log size just change -MaximumSize 40000Kb to a more reasonable size such as 2048Kb. Just remember to append that Kb, and guess a number that's a multiple of 64. Finally, don't try to be cute and introduce a thousand separator comma; 2,048Kb or 40,000Kb will just cause errors. It's time to consider our tactics for the Windows Logs so that we can make good decisions. The crucial question is what should happen when, as inevitably transpires, a log fills to capacity with event records. My tactic is to set them all to OverWriteAsNeeded. 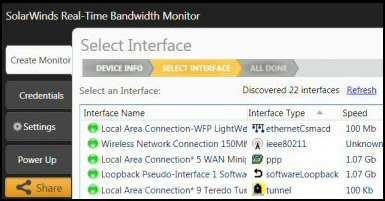 The main debate is over the security log settings. The argument goes that a hacker can cover his tracks by overwriting his nefarious acts by creating so many innocuous records that they overwrite his deeds. Thus the security log should not be allowed to overwrite. There is a secondary debate, the question is should you also set the log's RetentionDays? I think yes. Here is a script that employs a Foreach loop to set both the OverflowAction and the RetentionDays. 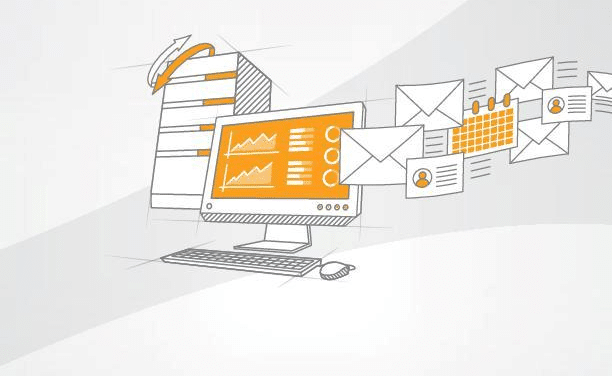 The role of the Foreach loop is to provide a conveyor belt of logfiles that Limit-Eventlog then processes. # PowerShell script to control the over flow action. Note 2: I have also amended the Foreach loop, let me know which construction you prefer. Note 3: To make this work for real you need a clear rational of how much information you want to write into various logs: Application, Windows PowerShell or other. My aim is just to give you examples of the mechanics and to make you aware of all the parameters that you must consider. Note 4: In this instance it reminded me that we can employ the -ComputerName parameter and thus configure Event Log on other machines. Note 5: Clear-Eventlog and Write-Eventlog look interesting. This cmdlet enables you to configure the event logs size and overwrite options without using the eventvwr GUI. The trickiest part is getting the numbers in the correct format, a multiple of 64 and Kb at the end, for example 20800Kb.